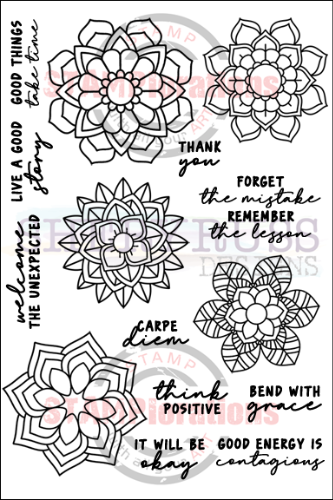 Bloomdala Bliss is the 30th and final stamp club offering. It is available to current stamp club subscribers to pick when their subscription renews. ONE (1) package of BLOOMDALA BLISS clear stamp set. There are 15 stamps in the package. This stamp set is in a 5" by 7" backing sheet and packaged in a resealable hang hole cello bag. For your reference, the largest stamp in the set is approx. 2" wide and 2" tall.